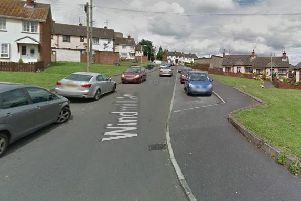 A 31-year-old man serving a three year driving ban made a successful application to have his licence restored last Friday at Craigavon Magistrates Court. Paul Moffett, Edenderry Gardens, Banbridge, was banned for three years at Craigavon court on November 25, 2015. The application to have his licence restored was made as he had been offered employment and this would be greatly assisted by the restoration of the licence. The court heard that on September 14, 2015 at 2.20pm a collision involving three cars took place on the Banbridge Road in Lurgan. Moffett smelled of alcohol and an evidential breath test gave a reading of 161. Police were also made aware of another collision involving the defendant earlier on the Malcolm Road in Lurgan. He alleged that he had consumed more alcohol between the accidents by taking three gulps from a bottle of vodka. Moffett had no insurance at the time because he had defaulted on payments. A barrister representing the PSNI said they would be objecting to the application. She added that the main concerns were the alcohol reading of 161, there were two separate collisions, damage to vehicles and injuries. Moffett’s barrister said clearly his client had difficulties with alcohol at the time but appeared to have addressed those problems. He added that employment would help him to continue on that path, explaining that Moffett would have to get two buses to get to work. He said the defendant would have to sit the test again and his employer was aware of the situation. The Deputy District Judge said that two and a half years of the ban had been completed and felt it was reasonable to restore the licence from August 25 this year.